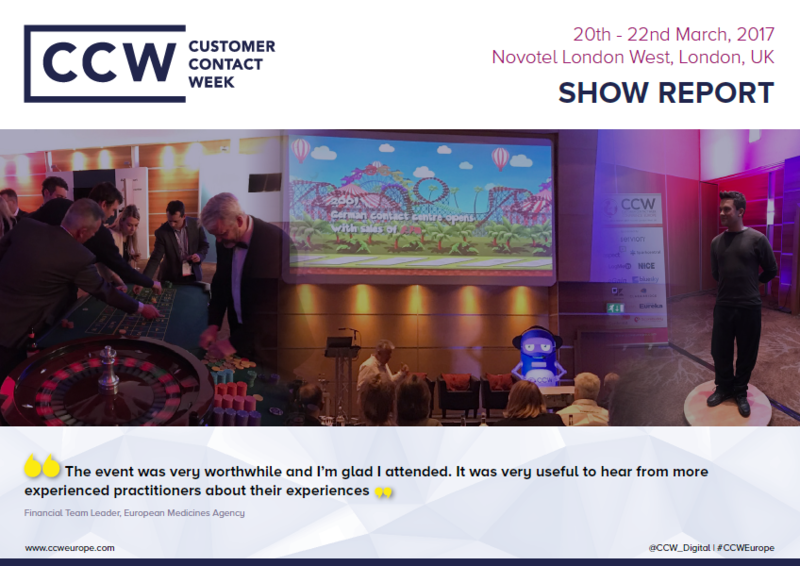 From Vegas to London: The legendary Customer Contact Show made its long awaited debut in March 2017. Over 160 customer experience and customer contact heads presented cutting edge case studies, hosted inspirational discussions as well as sharing plenty of practical tips to shape the future of customer contact! Read the post-show report to dsicover the top speakers and sessions from CCW 2017. Customer Contact Week is back and promises to bigger than ever before! CCW 2018 is taking place in Glasgow on 12th - 14th March and has over 65+ inspiring speakers and will cover a huge array of hot topics.